You’ll start with 1 minute jogging intervals in-between 1.5 minute walks. As you complete runs your body will be strengthened and the program will slowly become more challenging. You will be on your 5K run before you know it! Take your device with you on your runs! Listen to your favorite music and get prompted over your headphones to run or walk. 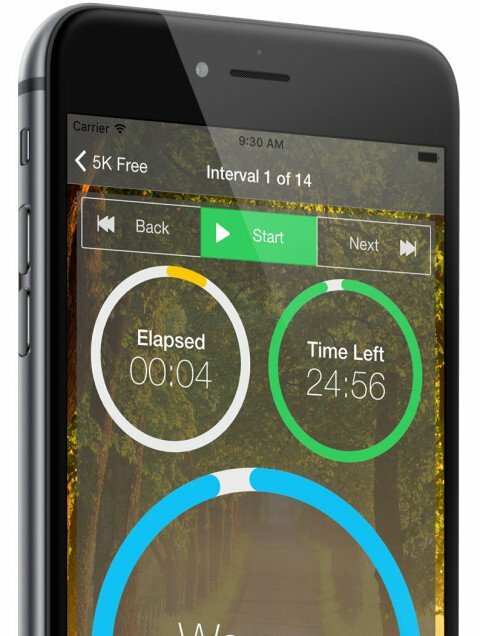 Your entire 5k run will be directed through your headphones or speakers. 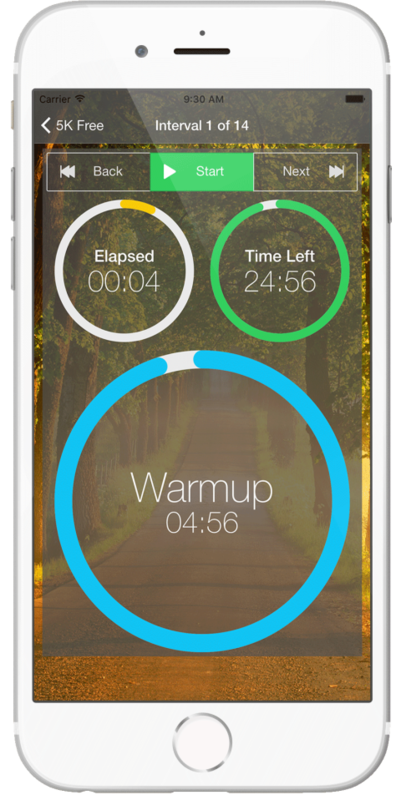 3 active timers while you run – Total Elapsed Time, Remaining Time, and Current Interval Time. Includes 24 runs. That’s 3 runs a week for 8 weeks! Works great outside or on a treadmill. 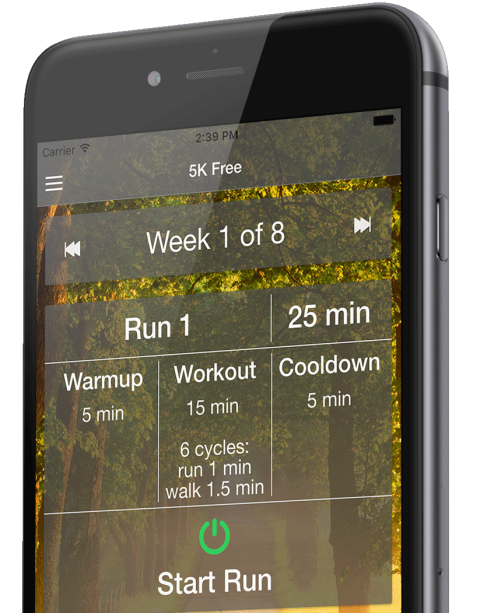 Use 5K Run with any music app. ✔ Great way to boost your cardio and get you ready for your first 5k race! Need to stop and tie your shoe? Pause 5K Run! Or, press Back/Next to go to different intervals.